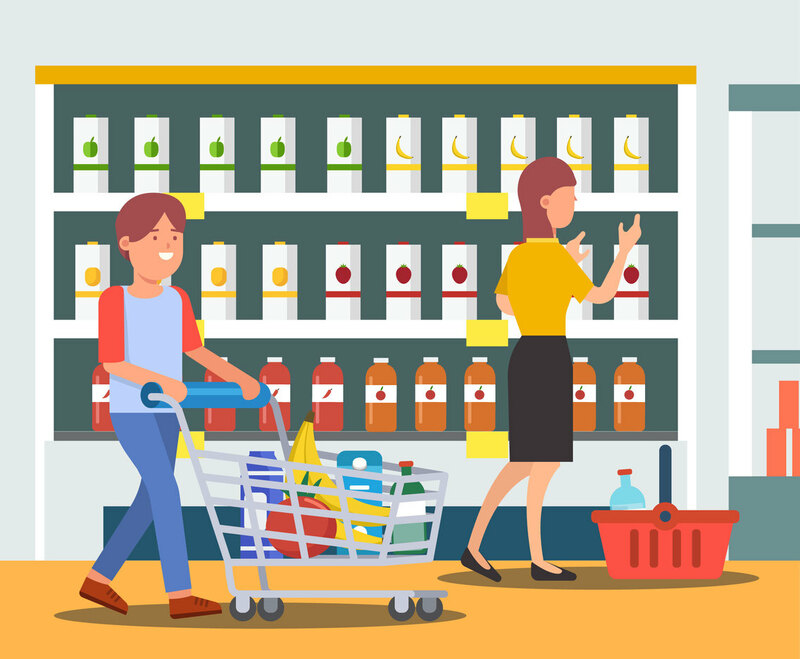 Illustration of some customers in a grocery store. The illustration is in vector format for easy edit. You can see the customers are with shopping cart and shopping basket while shopping in the illustration. It's a great design set for shopping related service in web or print.